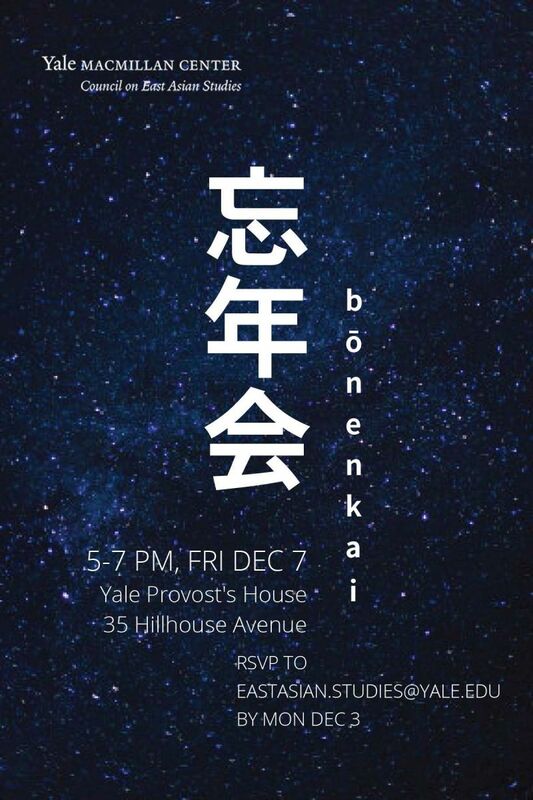 Please join the Council on East Asian Studies for our annual Bōnenkai End-of-Year Celebration on Friday, December 7th, 2018. The celebration will be held at 5PM to 7PM at the Yale Provost’s House (35 Hillhouse Avenue). Please RSVP for this event by Monday, December 3rd to eastasian.studies@yale.edu.